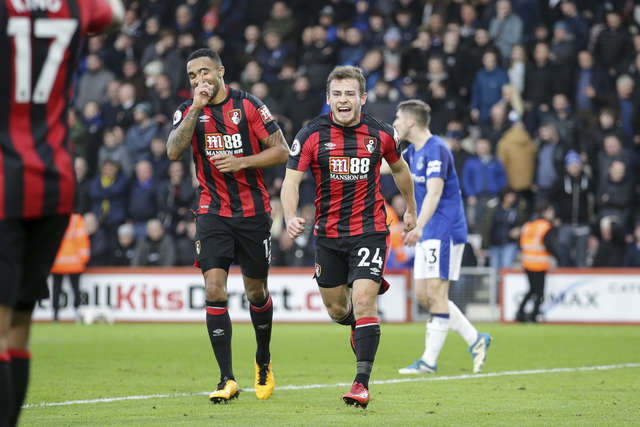 AFC Bournemouth winger Ryan Fraser believes the side will relish the trip to Anfield this weekend to face Liverpool. The Reds have been in imperious form of late, having beaten Manchester City in the Champions League, with Mo Salah arguably the standout players of the season for Jurgen Klopp’s side. Despite on paper it looking like a tough test on Merseyside, the Cherries have been in good form of their own, even restoring 18 points from losing positions this campaign – a Premier League best. Fraser feels that those statistics give the team real confidence heading into the trip north. "We never make it easy for ourselves!" the Scot said. "We scramble back from a goal down, but I think it is just us as a team - we work really hard for each other. "Some teams buckle under pressure after going a goal down and as a unit we all come together, our fitness stats are always up there. The gaffer always shows us and towards the end of games it is influential. "I take it as a positive, obviously being a goal down is something we need to sort out, but to collect 18 points – that’s a hell of a lot of results to come back from. It shows the character in the dressing room and it does give you confidence that if you stay in a game then we can get goals. "The team is always together, we do stuff together like go for coffees and things like that. Other teams I've been at have little groups but everyone is connected here and everyone wants to do well for each other. "Against the top teams, you need to forget about the relegation battle and enjoy it, play your own game. We went to Old Trafford earlier in the season and in the second half we battered them, but lost 1-0 which wasn't nice. "It was a real positive to dominate the ball and they hardly had any chances - on another day we would take something. "You have to relish these moments." Fraser has made 29 appearances for the Cherries this season but in recent weeks, he’s played in a more defensive role due to the injuries to Simon Francis and Adam Smith. 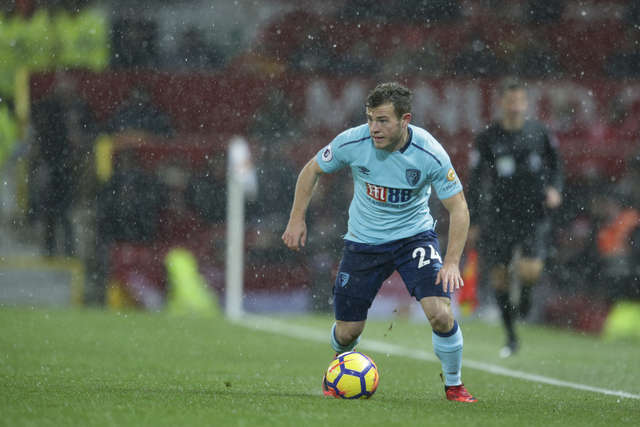 As a right-back or right wingback, Fraser has looked comfortable out of position and feels as though he is reaching his best levels in the second half of the season. He continued: "I’m enjoying it, I always seem to miss the first half of the season and I’m not sure why that is. I don’t deserve to play if I’m being honest. "Maybe in the second half of the season I come alive because it’s colder, I am from Scotland after all! "Right now I'm not playing in the position I'd like to play but I'm happy to be a team player. I’ve played left wing back, right back and right wing back for stints and I feel I did well particularly against Chelsea away and Arsenal at home. "At right back I’ve played against Peter Crouch and Troy Deeney peeling onto me so that was an experience! "But for the manager to trust me in that position gives me great confidence, he feels I can do well there so I will give it my all."